The indicator looks for buying and selling zones, where a deal can be opened with a minimal stop loss and a better Risk Reward Ratio. The indicator is based on qualitative search of the Double top/Double bottom pattern. 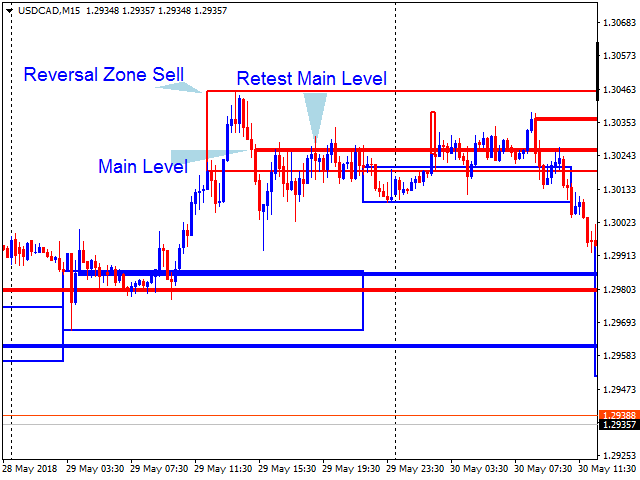 Within the Reversal zone, it looks for the strongest area of the zone - Main level. 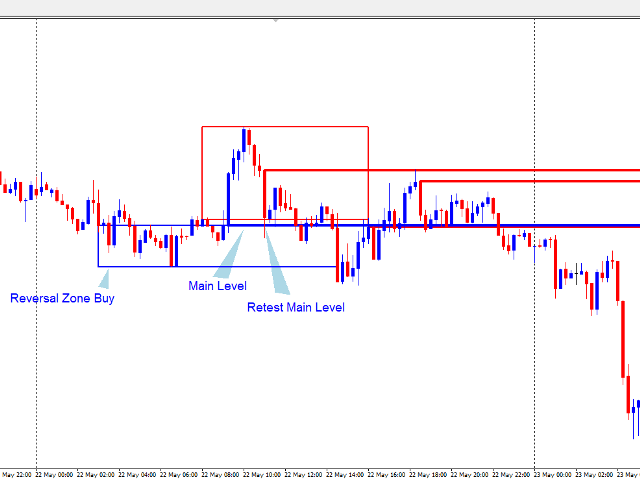 Wait for the price to return to the Reversal zone (retest) and touches the Main level. Days painting - the number of days in a row to look for Reversal zones and Main levels. Min zone width, pip - the minimum width of a zone. 100 pips are optimal for most instruments. For indices and oil - 30 pips. Min impulse width, pip - the minimum distance the price should pass after leaving a Reversal zone for this zone to be formed. 100 pips are optimal for most instruments. For indices and oil - 30 pips. 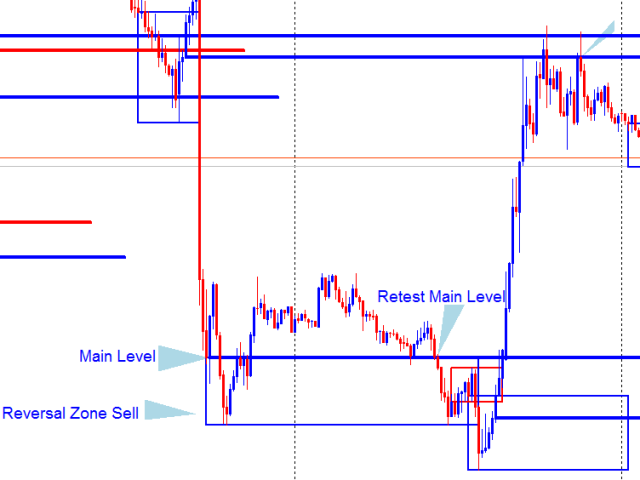 Fill square - fill the Reversal zones. Recommended value is "false". 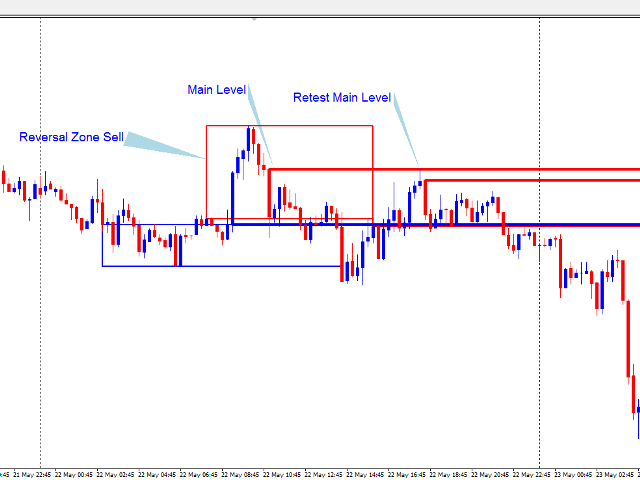 Find Main Level in reversal zones - search for the Main level in reversal zones. Recommended value is "true", since the Main level is the most important point in a reversal zone. Cut far zones - trim distant Reversal zones. Default is "true". Buy reversal zone color - color of a Reversal zone for buying. Buy Main Level color - color of the Main level for buying. Sell reversal zone color - color of a Reversal zone for selling. Sell Main Level color - color of the Main level for selling. P.S. If you have any questions about the operation of the indicator, feel free to ask them in the Comments or in private messages. Индикатор не заработал на USDCAD.